This workshop will show you how to make a hard backed fabric lampshade using either your own fabric (if suitable) or one of a variety on offer on the day. 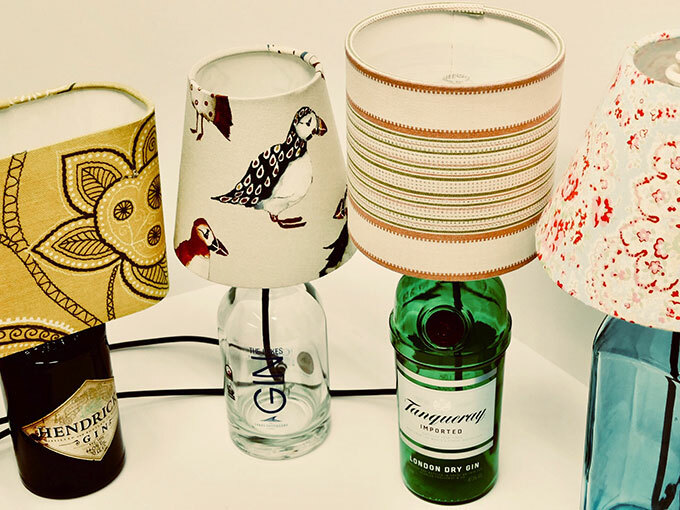 We will also show you how to add trimmings to personalise your lampshade and make it even more eye-catching. We will explain the principles around making your own templates for future projects. When booking your place, please confirm whether you would like to make a drum, empire or coolie lampshade. Cost: £55 including a £20 deposit on booking. All materials, refreshments and cake provided. For more information please email or phone Delight & Wisdom on 01434 632818.